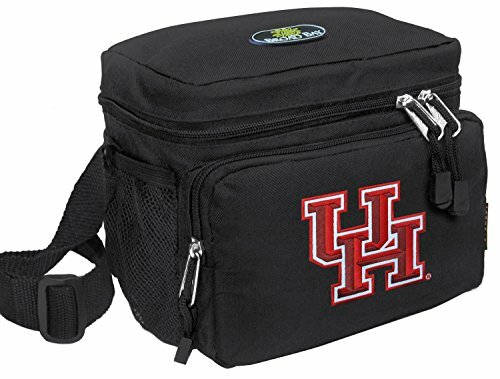 An Official NCAA University of Houston Lunch Bag is A Top UH Gift For Men or Women! This Great UH Lunch Bag Features A Zippered Outer Pocket for Keys or Accessories, Super Strong 600 Denier Fabric, and Side Mesh Pockets! An Adjustable Shoulder Strap and Dual Easy-Grab Zipper Closures are More Great Features of This Well-Made UH Lunch Bag! This Official UH Lunch Cooler is Well Sized at 8.5 x 8 x 6.5 - SIX PACK SIZED - Compact and Well Made!